Could someone who already uses one of these offworld pcb things maybe post a photo of it in real life? As a non diy-person, I have problems understanding what it even is. As a non diy-person, I have understanding what it even is. I’ve ordered some boards though they’ve not arrived yet. I understand it to essentially be like a 2 channel ext5v: 2 x in and out port pairs (one for grid, one for arc) and one port to connect to power. i just created a new version of the offworld which is much smaller, for a single device. i’m making a matching plexi “sandwich” to cover the bottom and top so it’s more mechanically robust and without exposed contacts for shorting. i’ll get the files posted soon, but i’m finally going to offer these as a DIY kit (all parts included) and prebuilt. i’m sorry it’s taken so long-- i finally found a really nice USB-A that’s mid-mount so the whole thing is slim and finally elegant. I’m having a strange experience with a usb splitter that @ado has had luck with. I picked up the same one he posted about from eBay. When I plug my grid or arc into ansible with one of the two leads from the splitter I get normal operation. When I plug in with the other lead I get a brief flash of the leds and then nothing. I tested the splitter with my phone and both leads charge the phone normally. Thanks for posting the pic. This is a really nice solution. Definitely getting a pre-built one, when they are ready to order. @jasper_ryder that’s correct, only one of the leads has data wire. 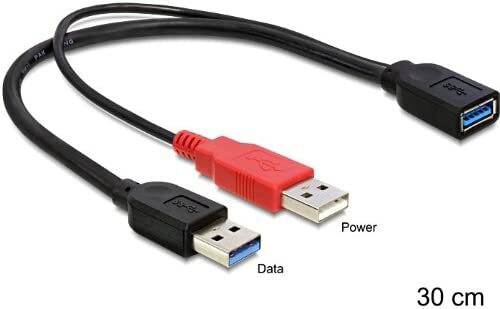 You want to cut the power wire on the lead that contains the data wire. The other power only lead will be connected to 5V power source. Tred following through on links yet curious to exactly what this does? Is it something similar to the ext5v? My Teletype has just shipped today so I’m still a short time away from placing my order for a Grid. If someone could help me understand; it is clear that the TT cannot provide power to the Grid so another solution is required. I get that the Switch is gone for good but that Offworld will fill its place. In @tehn’s image above it suggests that I could power the Arc and Grid simultaneously, I’m guessing that the main USB connection (not the ones going to Arc and Grid) is going to some kind of USB hub or a port on a computer that can supply enough current. Correct? If the Arc and Grid are plugged into the Offworld how do they simultaneously plug into Teletype and Ansible, are they using a Y splitting cable somewhere in the path? It seems that Offworld might be a source of noise with some people’s setup, did the Switch suffer from the same problem? I’m thinking about ordering an assembled Offworld when they become available as they appear to be a rarity but an essential item if one wants to explore the Teletype talking with the Grid. Is there a mailing list or will the availability of Offworld be announced here on Lines?